Our best seller, containing standard body measurements for regular and special sizes in the Women’s, Men’s and Children’s markets. 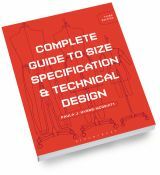 Also, fully graded specs for all sizes, grade rules, sizing charts and more... A must-have book for every design and patternmaking room. Couture Techniques presents the introduction to industry's high-end sample making processes and to the Contemporary Fashion Education Program. These are the skills that students need to know to be able to design and produce stunning collections and personal wardrobes. 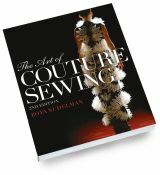 Included in this book is the information needed to make high-end zipper sets, kick pleats, hems, seam finishes, bias bindings, buttonholes, etc., as done in high-end designing departments. 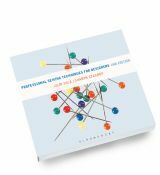 With minimal equipment, a few inexpensive tools used in the industry, and PDF's of the author's master sample book on the included CD, anyone who uses this book will be able to produce professional samples. Here is the information you need to set beautiful zippers that enhance your sewing. This is the same zipper information that is in Couture Techniques, now available separately. 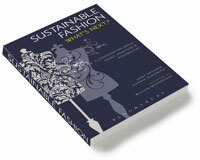 This book answers the questions of any new designer: "How do I produce a garment? ", "Where do I start? ", and "What standards should I use?" 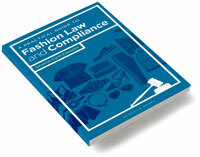 The book will help all those that are beginning in the fashion industry, and also facilitate those with existing loopholes that have been making their daily jobs grueling and hurting their businesses over time. Forms and Data Templates are frequently used in product development. These forms will save valuable time in "getting it right"!